Every year offers opportunities to gain more experience and understanding of how to improve production. 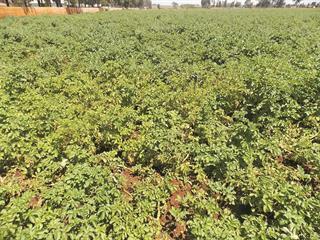 These lighter patches in a potato land have been caused by nitrogen leaching near sprinklers that deliver more water at that site. But to do this, you need to keep your eyes peeled for anything out of the ordinary on your lands, regardless of how insignificant it may seem. All too often, a farmer will ignore an anomaly if it does not seem to affect his crop economically. In doing so, he loses the opportunity to get a better understanding of how to get the best out of the crop, or deal with a problem before it becomes a crisis. Whether you like it or not, your farm is effectively a ‘trial farm’ as irregularities will always occur even when you’re farming successfully. On a trial farm, these differences are specifically created with the purpose of learning more about the crop. Unintended differences in your crop can serve the same purpose in that they can show you which factors make the crop grow better or worse. You simply have to teach yourself to be observant when inspecting the crop and try to work out the reason for anything being out of the ordinary. So many opportunities for improvement pass farmers by. 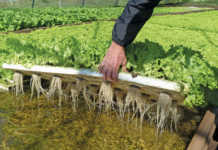 For example, a crucial aspect of vegetable farming is to get the right amount of water onto the crop. 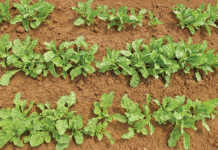 Too little, and the crop will react to the stress by reducing production and concentrating on survival. Too much, and nitrogen (N)leaches, causing losses in addition to wasting water. This is what has happened to a farmer I know. I have frequently warned him that his N levels are too low and are most likely leached due to over-irrigation, as he has rather sandy soils. When I visited him recently, however, his crop looked superb with no N shortage in evidence at all. 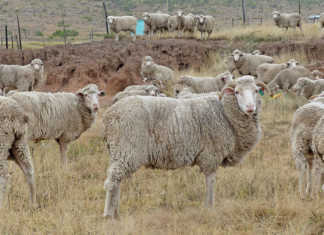 He said that he was struggling to supply sufficient irrigation due to the hot, dry conditions. I told him this ‘problem’ was a blessing in disguise as there was clearly sufficient N in the soil – and the ‘shortage’ of water meant that it was not being leached out. Determining if a crop is receiving enough water in the current hot, dry, windy conditions can provide you with many learning opportunities. If you have overhead irrigation, some sections might not get sufficient water, as will be seen on the windward side of the land. Apart from this, sprinklers can block or fail to turn. This enables you to study the condition of the crop in such areas and identify exactly what a water shortage looks like on that crop. In this way, you can spot the onset of future water stress in a crop before it becomes harmful. Another aspect to look out for is whether the N level is right for the crop. 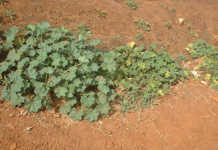 In crops such as beans, too much N will reduce the yield; with plants of the cabbage family, too little will have the same effect. The places to look for low N levels are slight depressions in the land where water accumulates after rain, and around sprinklers. The plants here may be lighter in colour as these areas usually get more water. Make a point of frequently checking these spots. Learning to recognise a N shortage at a glance means that when you inspect the rest of your crop, you will know when the plants need more N.
Spillages will occur when applying N. Check these areas later and see what effect too much N has had. Similarly, with a herbicide, spray may drift onto the edge of an adjoining crop of another species. It is easy to simply ignore this, as the damage may be minimal, but it is worth taking the time to note any changes in the affected plants and take photographs for future reference. On another occasion, someone may have forgotten to wash the tank after spraying. You will need to know what has caused the burn after spraying. Learning to recognise the signs caused by a specific herbicide will save you a great deal of speculation.